Quentin Biardeau and the Quatuor Machaut offer a re-visit as well as a set of ‘extensions’ to Guillaume de Machaut’s Messe de Nostre Dame (Mass of Our Lady), the masterpiece and apotheosis of 14th century polyphonic music. The quartet has been focusing its work on the exploration of timbres, textures, tones and dynamics, as well as sensations and feelings induced by this musical work that leaves considerable room for freedom and improvisation within a rich harmonic framework to all four musicians. The result, at the intersection of the sacred and spectral music, offers the listener a genuinely mystical experience. Formed in 2011 by Quentin Biardeau with Simon Couratier, Francis Lecointe and Gabriel Lemaire, the Quatuor Machaut recorded its first album in 2015 at the Abbey of Noirlac, produced and released by Ayler Records. 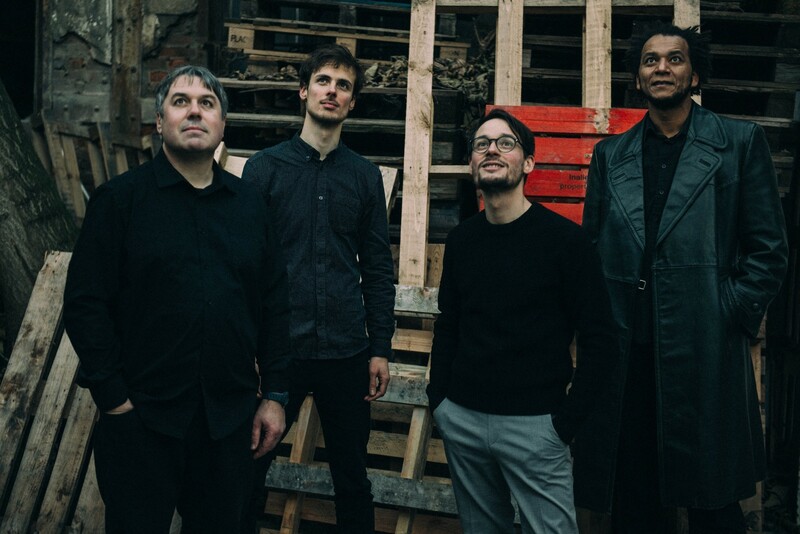 The Quatuor Machaut is based in Orléans and member of the Tricollectif, one of the most active collective of musicians on the French jazz scene. The Quatuor Machaut has been one of the laureates of the Jazz Migration tour program of 2017, a promotion program for emerging creative jazz musicians carried on by the AJC (Association Jazzé Croisé). Formed in 2011 at the instigation of Quentin Biardeau (co-founder and key musician of the Tricollectif, a hyperactive collective from Orléans), this saxophone quartet gave itself the task to explore, in the light of modernity, the exceptional richness of the Messe de Nostre Dame, a masterpiece of the polyphonic music of the 14th century initially composed for four voices by Guillaume de Machaut. The undeniable success of the project stems primarily from the rigor with which the quartet plunges resolutely in the mysteries of the work, well and truly re-appropriating the material to develop all its potentialities. Exploring these amazing territories where early music, contemporary music field (from spectral music to American minimalists) and free improvisation truly exchange their properties, the Machaut Quartet creates a music of great poetic power where the sensuality of the timbres and the textures is close to pure metaphysics.